The signpost, with its street name barely discernible, stood near 90 Zhangqiao Road in an old residential neighborhood in Hongkou District. 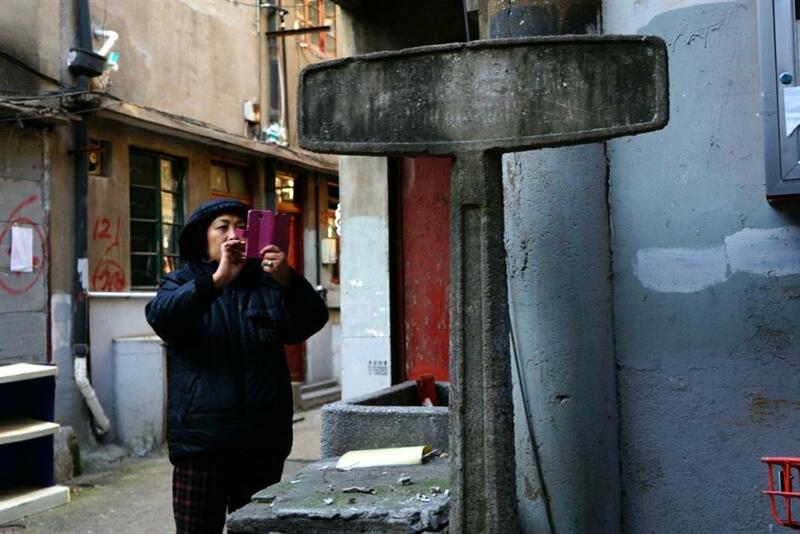 A passerby takes a photo of the rare concrete road sign in Hongkou District. It was found during a recent campaign to improve living conditions in the shantytown where the road sign is located. 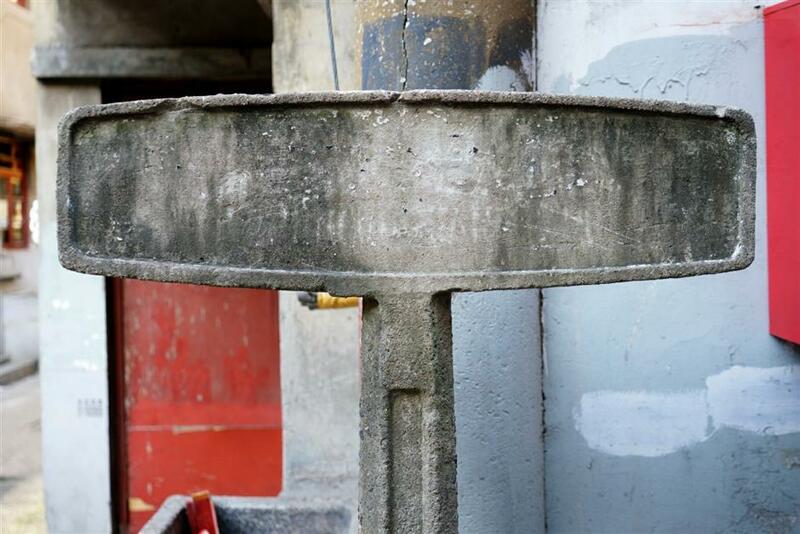 A rare concrete road sign, once common in 1920s, is to go on show after it was found in a downtown shantytown recently, local cultural heritage authorities said. The signpost, with its street name barely discernible, stood near 90 Zhangqiao Road in an old residential neighborhood in Hongkou District. It was found during a recent campaign to improve living conditions in the shantytown, according to the district government. Such concrete road signs were once common and served as the standard signs for local streets in the1920s. The city had many concrete plants at the time and the price of concrete had largely fallen, said Xue Liyong, a senior researcher with Shanghai History Museum. The street names were written in black ink. Before that, Shanghai had no standard road signs. Both enamel and iron road signs were once used in the foreign concessions and other parts of the city, Xue said. However, most concrete signs disappeared after the city government decided to replace them with the current signposts which are much more resilient to weather, Xue said. The street name is barely discernible on the signpost, which stands near 90 Zhangqiao Road in an old residential neighborhood in Hongkou. "The newly found road sign in Hongkou is valuable because very few of such old-fashioned road posts can still be found in downtown," Xue told Shanghai Daily. Because it was situated in the former shantytown it had escaped the citywide replacement program some 50 years ago. The road sign will be stored and exhibited in the archives' exhibition center, the district government said. It will be helpful in research into the city's development and renovation, an official with the district archive said. The road sign was for the former Zhangjiaxiang Street, a small lane near the current Zhangqiao Road, said Chen Ziming, a senior resident who has been living in the community for decades. "These concrete road signs were quite common in the area when I was child, but they were easily broken and the road names also often got blurred," Chen said.